The parking lot opens at 7:00AM and you do not have to arrive early as there is plenty of room in the Crystal Lot to park at Texas Motor Speedway even if you arrive at 8:00AM or even 9:00AM. Lots of good hot coffee and donuts and some awesome cars will be on display at this event. For this Cars and Coffee event TMS is also hosting at no cost to all C&C participants "laps around track" at the world famous Texas Motor Speedway. RSVP is required to attend this car meet as a V-Club member (or prospective member) since the V-Club will be cruising over to Ponder, Texas for lunch at 11:30AM at the legendary Ranchman's Cafe . We will depart TMS immediately after the laps for the short 18 minute cruise to Ranchman's Cafe. The cruise for lunch is optional so be sure to denote your preference when you submit your RSVP registration form via CadillacVClub.com. Menu selections include any burger or sandwich on the menu including fresh cut Idaho fries and a non-alcoholic beverage. The steak burgers are ground on premises from steak cuts, cooked to order served on a toasted bun. If you drive north from Fort Worth along FM 156 towards Oklahoma, you will feel the peace and beauty of the real Texas. Traveling out of the “burbs”, you will begin to pass small Texas towns where farmers and ranchers still work the land and have mud on their boots. The road follows the railroad tracks that run all the way to the northern U.S. border. A few miles down the road, the small town of Ponder sits, and if you blink, you might miss it, so watch closely. Turn left on Bailey Street (the main street in Ponder), and you will see Ranchman’s Ponder Steakhouse. Be sure and stop and treat yourself to a chunk of Texas hospitality and some good old-fashioned Texas cooking. Ranchman’s has been a mainstay in North Texas for sixty-three years. The secret according to many out-of-state and foreign visitors could be that “Ranchman’s is as Texas as you can get”, explains the “Ranchman” himself, Dave Ross, the owner for the last eighteen years. 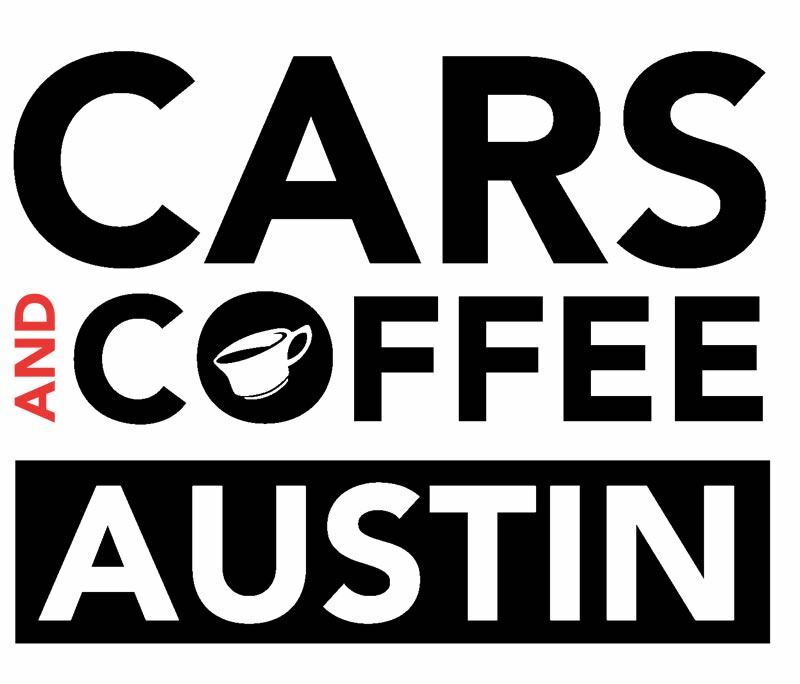 Join the Austin Chapter of the Cadillac V-Club this cars and coffee event on Sunday, May 19. PARKING: Please plan to arrive by no later than 7:30AM to secure a parking spot with the V-Club in the car show to park in the Blue Section of Lot A. The parking lots will open at 6:30AM. All V-Club members and sponsors are invited to join us for some breakfast tacos, kolaches and drinks compliments of the Cadillac V-Club and Covert Cadillac. Prospective members are also welcome to RSVP and join this event. You MUST RSVP to attend this event by registering yourself and the number of guests that will be attending with you. The Universal Technical Institute Friday Night Drags is heads-up, street-style drag racing. Racing is held on the one-eighth-mile pit road, and the events are open to any automobile (excluding back half cars or trucks) and any driver over the age of 18. UTI Drag Racing or Hills Air Support Show-N-Shine entry fee are $20 each. If you are a V-Club member and RSVP register via the Cadillac V-Club website you will receive free admission to either the Drag Racing or Show-N-Shine event as a competitor but NOT BOTH EVENTS (you must choose one or the other for your free entry). The Cadillac V-Club is covering the cost of free admission ONLY for competitors. If you are not competing in the car show or the drag races you are a spectator. If you are spectating or you are bringing any guests, both you and your guests must pay the $10 fee for adults and $5.00 for children 12-under at the gate. If you choose to park in the infield (pit area) as a spectator and will not be competing in the car show or drag races, you are required to pay the $20.00 infield parking fee at the gate for yourself plus $10 per guest in your vehicle unless your guest is under 12 and if so, the guest fee is $5.00. You MUST RSVP and display your member ID card at the gate and if you do not RSVP YOU WILL NOT receive a free competitor entry simply by displaying your membership ID card. Your name must be on the RSVP list AND you must display your membership ID card which will be verified at the gate AND THERE ARE NO EXCEPTIONS TO THIS POLICY. BYOC - bring your own cooler, just remember no glass! Coolers are allowed in the infield. The infield entrance is cash only. Credit Cards accepted at Gate 6 entrance. Parking is free outside gate 6 in the PSL lot. All vehicles MUST have stock frames. No tube chassis, back-half, wheelie bars or parachutes are allowed. Bolt on chassis components allowed. Drag radials allowed in all classes. Drag slicks allowed in Outlaw and 4 Wheel Parts Black Smoke Warrior divisions ONLY. Nitrous allowed in Outlaw and 4 Wheel Parts Black Smoke Warrior divisions ONLY. All cars require current registration EXCEPT Outlaw and Black Smoke Warrior divisions. Reunion Tower Bandit Division - Foreign and domestic cars with three (3), four (4) or five (5) cylinders with or without factory turbo or supercharger; six (6) cylinders with naturally aspirated engines. Summit Racing Equipment Sportsman Division – Foreign and domestic cars with eight (8) cylinders naturally aspirated, six (6) cylinder cars with factory turbo or supercharger; NO engine modification allowed. Summit Racing Equipment Sportsman Modified Division – Foreign and domestic cars with six (6) cylinders with aftermarket turbo or supercharger; eight (8) cylinders naturally aspirated with internal modifications, i.e. aftermarket heads, cam, etc. Snap-On Tools All Wheel Drive Division – Foreign and domestic all-wheel drive cars with four (4) or more cylinders and electric powered vehicles. Texas Harley Super Car Division – Foreign and Domestic cars with factory authorized upgrades from the likes of Hennesey, Lingenfelter, Roush, Shelby, etc.., engine modifications, turbo and superchargers allowed. Texas Born Performance Black Smoke Warrior Division – All diesel powered or gas powered trucks, and all wheel drive SUVs; any size all-terrain tire allowed; maximum 31" x 10.5" (drag slicks); 31" x 12.5" (drag radials) size tires. Summit Racing Equipment Outlaw Division – Any car with stock appearing body. Suspension modification allowed. Any engine modifications and rotary engines allowed. Maximum 31 x 10.5w (slicks); 31 x 12.5 (drag radial) size tires. THE FINAL CLASSIFICATION DECISION WILL BE MADE BY TECH DEPARTMENT. CLICK HERE TO VIEW THE OFFICIAL RULES. Drive to Remember is one of the charities that we support and the Cadillac V-Club is the headline "title" sponsor of this event. This was a fantastic event in 2017 and was even better in 2018! For 2019, the Cadillac V-Club is again cruising to Longview, Texas to show support of this worthy charity and indoor auto show to be held at Maude Cobb Convention Center. This road trip will proceed down Interstate 20 into the piney woods of East Texas with a scheduled arrival time of 10:00AM. All Chapter members are encouraged to attend this event and cruise together to Longview from their local Chapters. 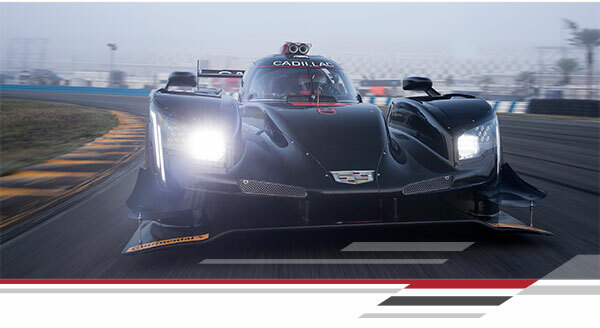 Each Cadillac V-Series vehicle selected must be "car show ready" and the selection committee will select vehicles based on condition, uniqueness and color. Even if your vehicle is not selected as one of the V's to be displayed inside the building, we would like to have a full row of V's on display at the entrance in area shown in the photo below. All Cadillac V-Club members and prospective members who attend this event will be allowed to park their V's to display at the entrance to the building but you MUST RSVP to reserve your parking space. Check out this short video introduction from Cameron Williams for the 2016 D2R event. The mission of the Drive to Remember event and charity is to find a cure for Alzheimer's Disease by contributing to intensive research; to assist in promoting enriched treatment programs for those families already affected, and to increase public awareness of the need for an end to Alzheimer's. Click here to visit Facebook page. General admission tickets sell for $5 at the door however all V-Club members who display their membership ID card will receive free admittance including your spouse and children. If you are interested in being selected to be among the 10 vehicles on display inside the Maude Cobb Convention Center or displaying your vehicle in the reserved parking area exclusive for V-Club members, you must RSVP register to confirm your participation. To participate you must arrive by no later than 9:45AM . Even if you are not participating in the car show, you should consider joining the cruise to checkout the vehicles in the "indoor air conditioned" car show. Depart Location for DFW Chapter Members: 7:30AM sharp Tanger Outlet Mall, Terrell, Texas (arrive by 7:00 at the latest) We will meet at the IHOP next to the mall. There is a gas station close to IHOP so make sure your tank is full before we leave Terrell because the next stop will be Longview. Arrive Longview: 9:30AM at Maude Cobb CC (If you arrive late after 10:00am, unfortunately you will not be admitted to the building.. All car show vehicles must parked before 10:00AM). Lunch: 12:00 Noon - a meal ticket will be provided to all V-Club members who RSVP to attend this event. This is approximately a 260 mile roundtrip. It is for a worthy cause, is a nice change of pace from our regular meet 'n greet or competitive events and you will get to enjoy the beauty of East Texas.